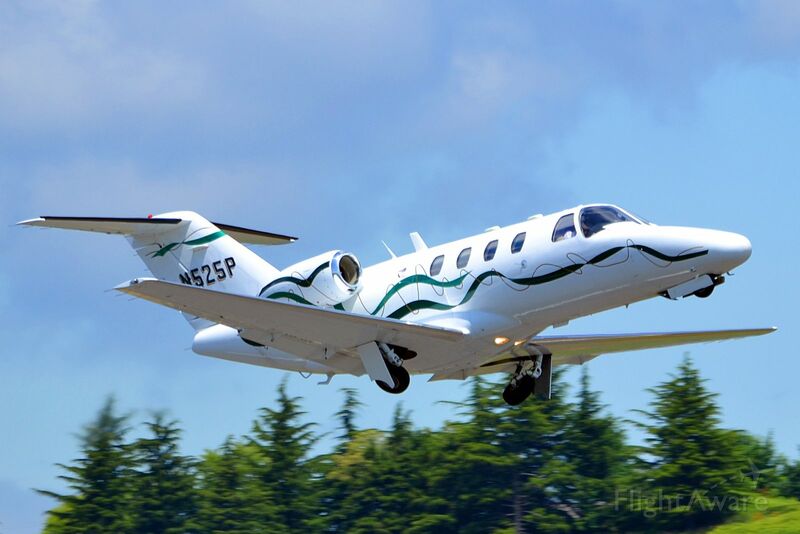 On April 15, 2018, at 2054 eastern daylight time, a Cessna 525, N525P, was destroyed after it impacted terrain near Crozet, Virginia. The private pilot was fatally injured. The flight was operated by an individual under the provisions of Title 14 Code of Federal Regulations Part 91 as a personal flight. Night instrument meteorological conditions prevailed, and there was no flight plan filed for the flight, which departed Richmond Executive – Chesterfield County Airport (FCI), Richmond, Virginia, around 2035, and was destined for Shenandoah Valley Regional Airport (SHD), Weyers Cave, Virginia. According to preliminary air traffic control data provided by the Federal Aviation Administration (FAA), a radar target identified as the accident airplane departed FCI, then at 2040 it reached a maximum altitude of about 11,500 ft mean sea level (msl). The airplane began to descend, and at 2044, the airplane leveled off around 4,300 and remained at that altitude until 2053 when it began a descending left turn until radar contact was lost at 2054. According to a witness, he heard the "screaming of the engines" and then felt the terrain shake when the airplane impacted the ground nearby. Furthermore, he stated that the cloud ceiling was "really low," the winds were moderate, and that it was raining heavily at the time of the accident. According to FAA records, the pilot held a private pilot certificate with ratings for airplane single-engine land, multiengine land, and instrument airplane. In addition, he had a type rating for a CE-525S. The pilot was issued a third-class medical certificate on November 30, 2016. At that time, he reported 1,900 hours total hours of flight experience, of which the 25 hours were within the previous 6 months of the medical examination. According to FAA records, the airplane was manufactured in 1996 and issued an airworthiness certificate in July 2004. In addition, it was equipped with two Williams International FJ44-1A engines, which each produced 1,900 lbs of thrust. The most recent continuous airworthiness inspection was recorded on March 1, 2017, and at that time the airframe had accumulated 3,311.6 total hours of operation.The 2057 recorded weather observation at Charlottesville-Albemarle Airport (CHO), Charlottesville, Virginia, which was about 13 miles to the northeast of the accident location, included wind from 020° at 4 knots, visibility 2 ½ miles, rain and mist, broken clouds at 700 ft above ground level (agl), overcast clouds at 1,500 ft agl, temperature 11° C, dew point 11° C; and an altimeter setting of 29.79 inches of mercury. In the remarks section it indicated that lightning was detected to the northeast and south of the airport. According to Lockheed Martin Flight Services, the pilot had no contact with them or or the direct user access terminal service for the accident flight. The airplane impacted three 40 ft trees about 15 ft prior to impacting terrain at an elevation of 1,520 ft msl. The initial impact crater was about 4 ft deep and an odor similar to Jet A fuel was noted at the accident site. 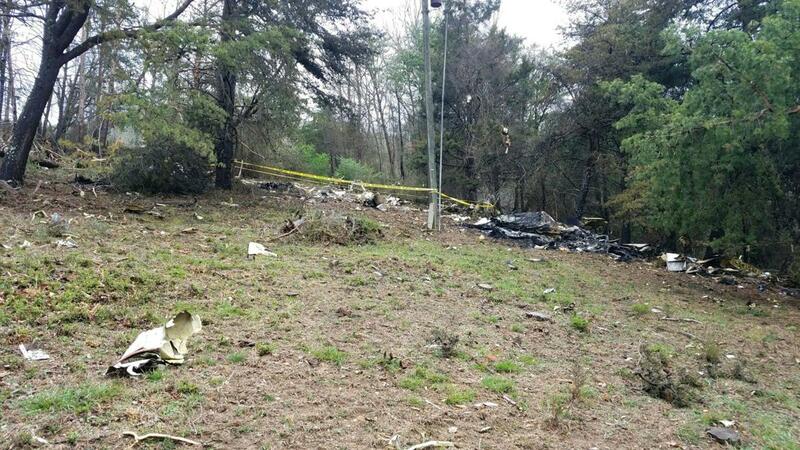 The airplane was highly fragmented and all major components of the airplane were located at the accident site. The debris path fanned out from a 120° heading and the slope of the accident site was noted as a 25° incline. All flight control cables and bell cranks observed remained attached in their appropriate locations through overstress failures. The left engine was impact separated and located in the initial impact crater. The compressor turbine blades were impact-damaged and rotational scoring was noted on the blades. Furthermore, the turbine blade bases exhibited rotational scoring. The right engine was impact separated and located about 60 ft beyond the initial impact location and was partially consumed by fire. The compressor fan blades exhibited rotational scoring and several blades were bent forward. In addition, the compressor turbine blade housing exhibited rotational scoring and the blades were bent the opposite direction of travel. A Garmin 496 handheld GPS was retained and sent to the NTSB Recorders Laboratory for data download.